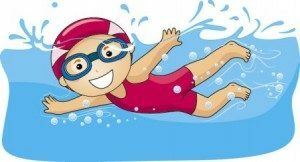 Each year students in Grade Prep to Grade 4 have the opportunity to participate in a two week intensive swimming program held at the beginning of Term 4. Students travel by bus to the Geelong Aquatic Centre in Bridge Street, Newtown. Lessons are taken by trained Austswim teachers and run for 30 minutes. Parents are welcome to go along and watch their child.